With sadness, we inform you that the beautiful and devoted white cat who lived with Lama Kunga Rinpoche, has passed on. He was apparently the victim of a motorist as his body was found in the middle of Cambridge Street, not far from home. In addition to his own outdoor adventures, Tashi frequently attended meditations, empowerments, and tsoks in the shrine room. He was loved by everyone and shared his affection in return. We pray for his quick rebirth in the human realm where he can meet gurus and continue on the Bodhisattva path. CHANGED–You are invited to Ewam Choden on New Year’s eve, Monday, December 31st at 11:00 p.m. Ven. Kunyer-la (one of Lama Kunga’s attendants, aka Anthony) will preside since Rinpoche will be out of town. There will be some meditation and recitation of auspicious prayers to ring in 2013, and snacks will be served. 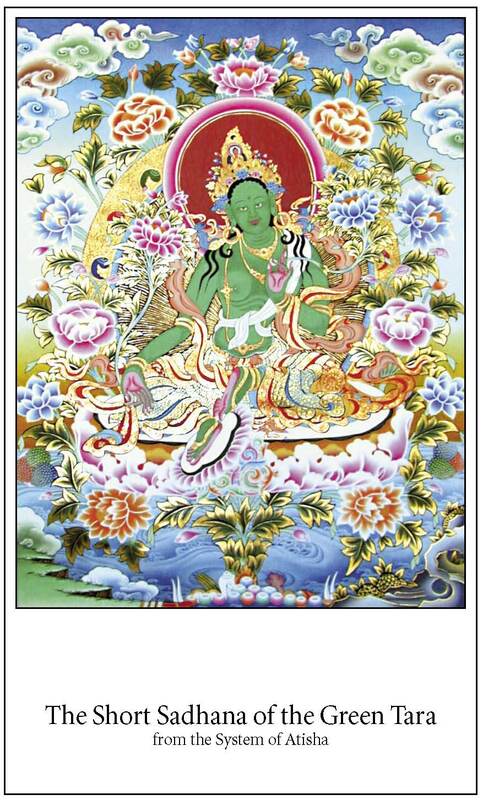 Completed GREEN TARA EMPOWERMENT on Sunday, December 16th, at 1:00 p.m.
Lama Kunga Thartse Rinpoche kindly bestowed the empowerment of Green Tara at Ewam Choden on Sunday, 12/16. This practice comforts, cures, and protects. 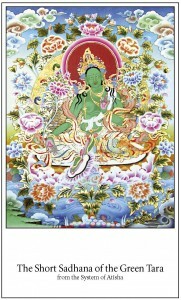 Tara conquers fear and anxiety, and clears the way for the Dharma path to enlightenment to unfold.